A member of the CJBS team since 2015, Jeff is currently a partner with the firm. He primarily serves closely-held businesses including printers, restaurants, jewelers, software developers, law firms, construction firms, real estate management companies, and machine tool distributors. Jeff works with owners and principals to integrate business and individual planning with financial, tax, and management issues. He also assists individuals with tax planning and preparation, and trust and estate work. 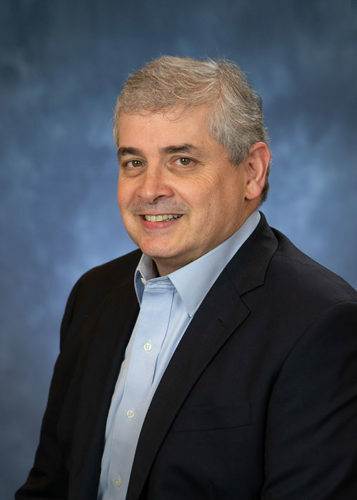 Prior to joining CJBS, Jeff spent his entire accounting career with Leo J. Krupp & Company, LLP, beginning as a staff accountant in 1979 and working his way up to partner. A loyal professional, Jeff is the go-to person at the firm when a teammate needs to bounce an issue or question off of someone or requires help getting pointed in the right direction. With clients, Jeff knows that the key to a successful relationship is getting to know them in order to understand how he can best serve their needs. Raised among accountants, including his father, brother, uncle, and several cousins, it was no surprise when Jeff also chose to pursue a career in this field. He credits his success to his continuous desire to learn in order to become a more valuable resource to his clients and the firm. Raised in Glen Ellyn, Jeff met his wife Ellen when they both worked as counselors at a summer camp. They currently reside in Wilmette and together have two adult children. Jeff enjoys the area where he lives for its proximity to Lake Michigan. He likes to spend his free time watching movies, sporting events, and plays. Secret talent: Jeff’s secret talent is good timing—he was in London days after Diana and Charles were married and days before Kate and William were married!